Debra A. Goff , PharmD, FCCP, is an Infectious Disease Specialist and founding member of the Antimicrobial Stewardship Program (ASP) at The Ohio State University Wexner Medical Center in Columbus, Ohio. She is a member of the OSU One Health ASP Committee and leads the research program for the Department of Pharmacy. She received her bachelor of pharmacy degree, Doctor of Pharmacy degree, and residency at the University of Illinois at Chicago. 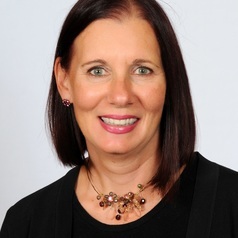 She is a faculty member of the American Society of Health Systems Pharmacists National Antimicrobial Stewardship mentoring program and the international advisor to the Federation of Infectious Diseases Society of South Africa educating and mentoring South African health care providers about antimicrobial stewardship. She is the 2014-2016 recipient of the OSU Outreach and Engagement grant that provides training and mentoring to South African pharmacists. She received the 2016 OSU Emerging International Outreach and Engagement Award for her work in South Africa. She is a faculty mentor to young African leaders in the 2016 Mandela Washington Fellowship Program. She is a 2016 TEDx Columbus speaker on antibiotics “just in case” there’s infection. Her interests include antimicrobial resistance, the application of rapid diagnostic tests with stewardship interventions, use of Twitter to increase global engagement and cross collaboration with surgeons, oncologists, veterinarians, and patient advocate organizations in antibiotic stewardship. She lectures nationally and internationally as an antimicrobial stewardship advocate.